Armen and his wife were the best! They provided us with everything we needed. It was like a 24 hours service. Everything in the room was top of the line. It is literally a 2 minute walk from town. We will definitely come back again. The owners (husband and wife) went out of their way to please us. It felt like staying with friends at the end of our short stay! 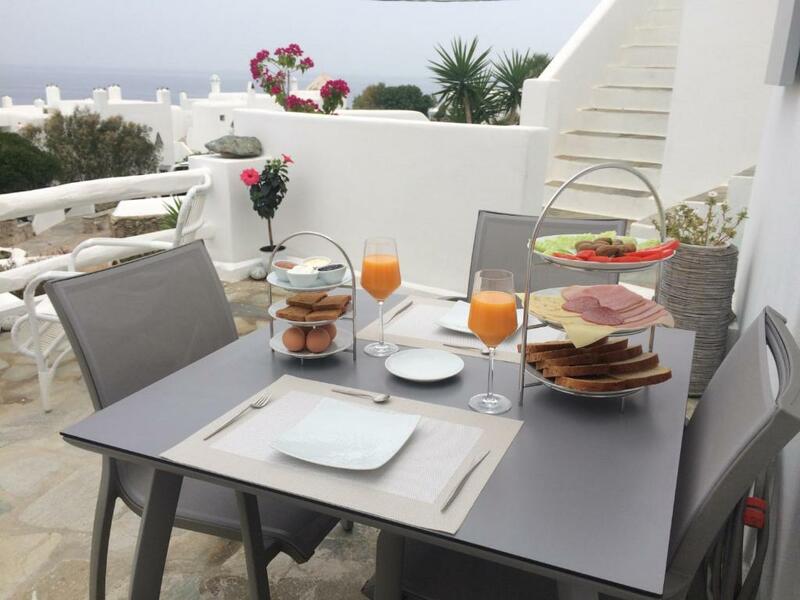 Fantastic location, super clean newly redecorated luxurious villa, fantastic recommendations for wining and dining. Kids and pet friendly. Host was incredibly friendly and helpful! The room was very comfy and clean in a beautiful setting. Nothing to fault! The owner and also the manager of this hotel MR.Armen was so kind to take care everything, he had kept communication until we arrived next destination after checked out due to safety considerations. Thanks armen! Place was extremely clean, well thought out with top of the line EVERYTHING! Armen and Suzanna are are EXTREMELY obliging, kind and super friendly. They are always there for their guests and nothing's a problem. Super friendly host, great rooms, best bed I've ever slept in! L'accueil exceptionnel, généreux, attentif. La qualité hors norme de tous les détails. L'excellente literie, la propreté, le confort, le design épuré et tout en étant chaleureux et parfaitement fonctionnel. La douceur du linge. L'harmonie des couleurs. Un lieu apaisant et joyeux. La sensation d'être chez soi, en mieux. La vue sur la mer, les couchers de soleil. Vraiment un lieu merveilleux. Un immense merci à nos hôtes. Lock in a great price for Melangel – rated 9.9 by recent guests! Melangel This rating is a reflection of how the property compares to the industry standard when it comes to price, facilities and services available. It's based on a self-evaluation by the property. Use this rating to help choose your stay! One of our best sellers in Mikonos! Just a short walk away from the heart of Mykonos Town, Melangel offers luxurious accommodations with panoramic views over the Aegean Sea. Free WiFi is available throughout the property. The fully air-conditioned units of Melangel are minimally decorated and come with exclusive designer furnishings, fixtures and fittings. 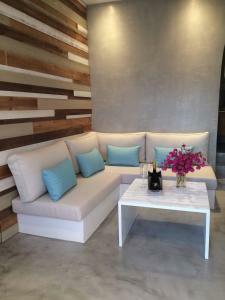 They all feature Cocomat mattresses, designer brand cosmetics, Nespresso coffee maker and cable TV. Kitchen facilities are available in some units. Upon request guests can enjoy exclusive services such as concierge, chef and chauffeur. 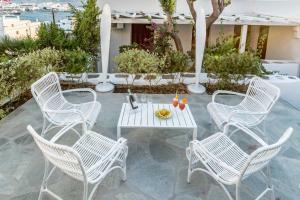 The property can also arrange private transfer to and from the airport and port. 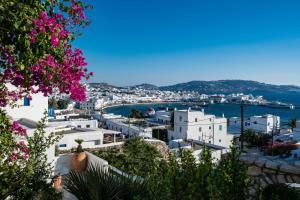 Mykonos Airport is a 7-minute drive away and Mykonos Port is a 5-minute drive away. 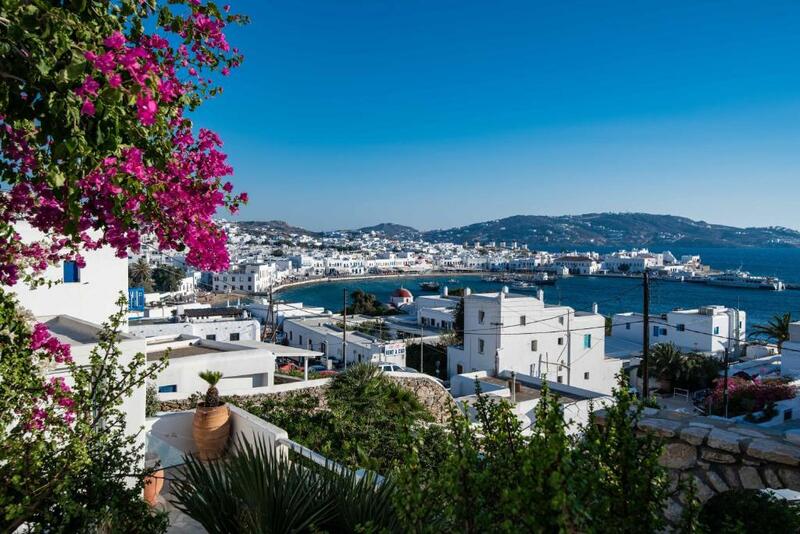 Within 1640 feet, you can also visit the famous Mykonos Windmills and Little Venice. Agia Anna beach can be reached in 20 minutes by car. 뀐 Located in the real heart of Mikonos, this property has an excellent location score of 10.0! When would you like to stay at Melangel? A welcome basket with fruits and a bottle of wine is offered to guests upon arrival. A baby cot and children's high chairs are available upon request. 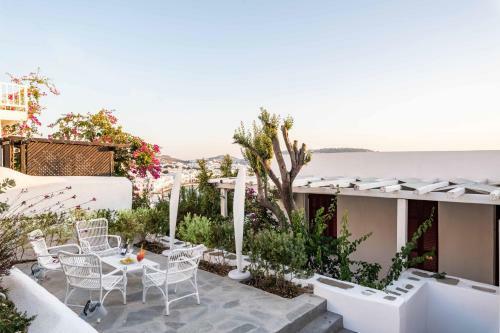 Nestled in the heart of Mykonos town with stunning views out to the Aegean Sea, our luxurious properties offer guests the opportunity to truly immerse themselves in the Mykonion experience. 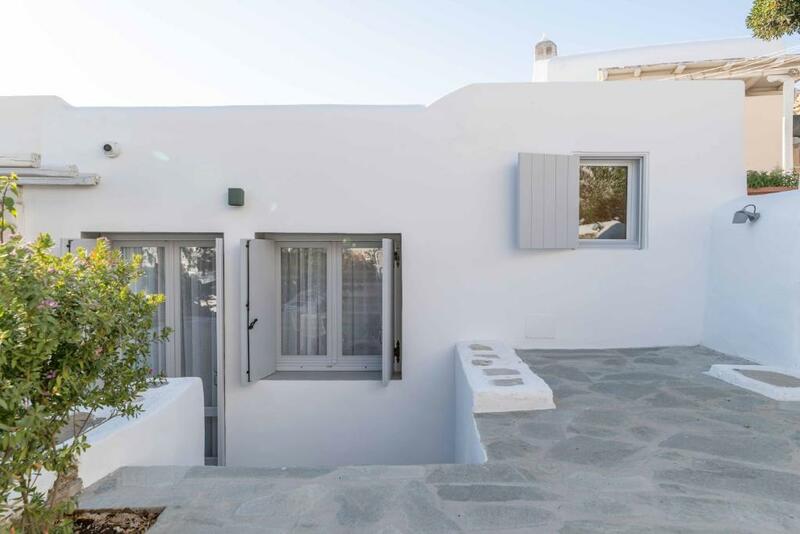 Completely renovated in 2016 and upgraded to the deluxe category, Melangel combines a contemporary, minimalist and modern style with traditional Cycladic architecture. 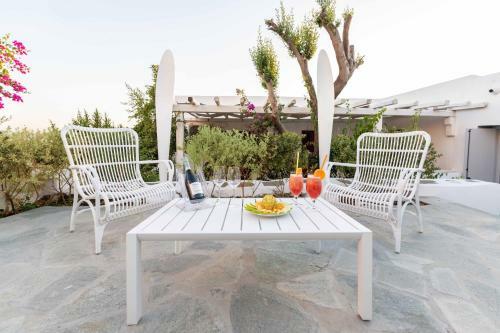 The accommodation consists of two properties – a one-bedroom Deluxe Suite and a Deluxe Room – both of which are just a short walk from the heart of Mykonos Town and nearby Agia Anna beach and offer stunning panoramic views over the Aegean Sea. We’ve carefully selected only the best products from world renowned premium brands in all aspects of the properties, right down from their fixtures and fittings to exclusive designer furnishings and toiletries. Our accommodation features Cocomat mattresses, Hermes and Chopard cosmetics, Nespresso coffee machines, as well as cable TV. Kitchen facilities are available in the Deluxe Studio unit. We also offer a complimentary bottle of local wine on arrival, as well as seasonal fruits, in order to put our guests firmly in holiday mode from the moment of arrival. My wife and I started Melangel because we are passionate about tourism and love being hosts. We adore Mykonos and Greece in general, are well travelled and love meeting and communicating with people from all walks of life from around the world. Our properties represent something more than just a business for us and we like to treat our guests as members of our family. That’s why we named Melangel after our two daughters – Melina and Angelina. We are very experienced and aim to help our guests have an unforgettable holiday while staying with us. We are on hand to answer any questions and give lots of advice and tips for anything they may need during their stay. The property is just two minutes walking distance from the old port, 10 minutes driving distance from the new port and 10-15 minutes driving distance from the airport. 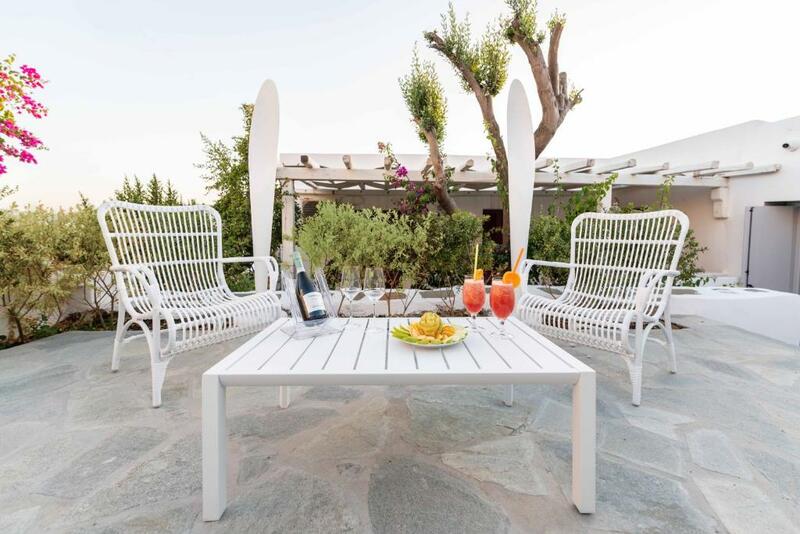 Location-wise, Melangel offers the best of both worlds: the town’s vibrant energy and picture-postcard area of Little Venice is just a breath away, while the perfectly tranquil setting beside the old port offers an ideal spot for rest and relaxation. House Rules Melangel takes special requests – add in the next step! Melangel accepts these cards and reserves the right to temporarily hold an amount prior to arrival. Please inform Melangel of your expected arrival time in advance. You can use the Special Requests box when booking, or contact the property directly using the contact details in your confirmation. The only slight issue (due to the time of year I visited) was the constructions works on the opposite road blocking some of the view of the sea and a little noisy but not really much of an issue overall. Construction in Mykonos is forbidden between May and October (peak season). Fabulous! A perfect end to my trip. Lovely hosts. I honestly can't suggest any improvements. Everything perfect for us!